Otherwise, you can just use your-domain.dev.ideasoftmalta.com to access your website. Note how the dots in your domain are converted to dashes. Navigate to Web section. Then click on the ‘Add Web Domain’ button. Fill in the domain field with your domain – example.com. Do not include the protocol identifier www. 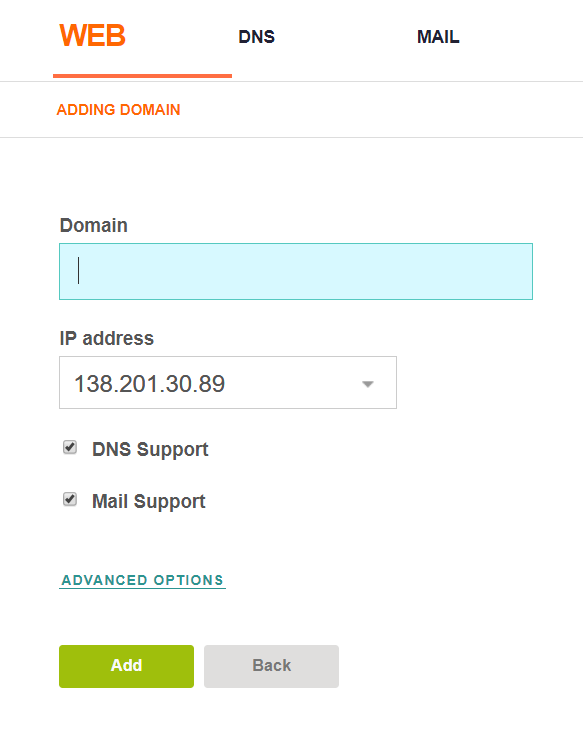 If you have a dedicated IP, then you can select it from the IP address drop down. Check DNS Support if you are managing DNS records on VestaCP. Check Mail Support if you are managing email accounts on VestaCP. Click the ‘Add’ button and you’re done. Proxy Support – You should leave this option checked.